You guys crack me up! 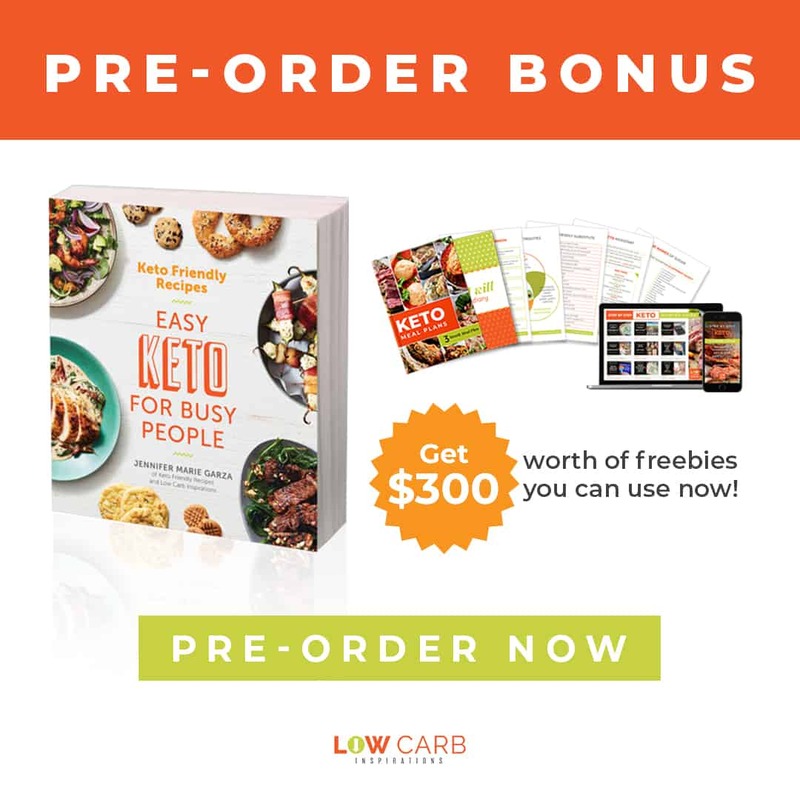 I never thought my Keto Beef and Butter Fast™ Experiment would be labeled as such. I never thought it would take to the internet as it did either. I am blown away by all the responses I received after posting my thoughts on How to Break a Weight Loss Stall with the Ketogenic Diet. UPDATE: We just completed a group challenge where we all did this Beef and Butter Fast for 4 days. So far 110 people have reported a 529.25 weight loss!! That’s an average of 4.8 lbs per person!! WOW!!! It went over so well that many already want to know when we are doing this challenge again. The most common comment in the group after the challenge was that people didn’t realize they could do this fast and not be hungry! Some people opted for the substitutions list options and some people stayed on plan. More importantly, everyone learned what works best for their own body! I am so happy for all the people who did this fast with me. If you want to join a list to be notified when we do another challenge, sign up on this email form and I will send out an email the next time we open up this challenge! 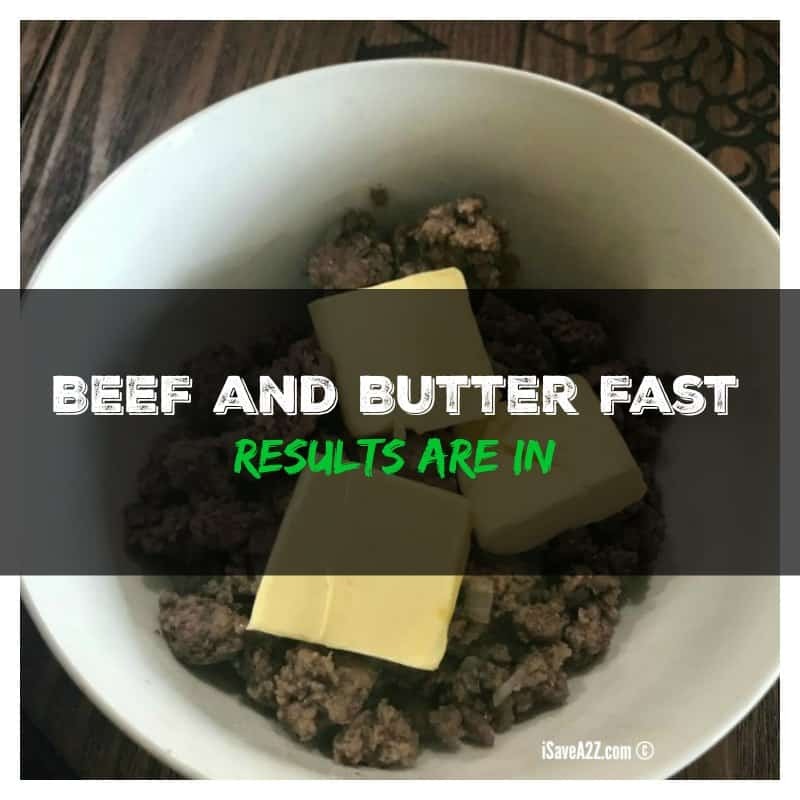 I also realized after all the notifications I received, I need to answer a few questions and give much more detail in how I did my own Keto Beef and Butter fast experiment. Here’s a quick disclosure before I start. I am NOT a doctor. Please, before you start any new change in your diet, please consult one. I did. I was lucky enough to find a good doctor that supports my Ketogenic Diet and believes in a low carb lifestyle. (that may be a bit hard to find) Not only do you want to consult a doctor but you want to start off knowing what your blood test results are too. Or at least I did. I also want to tell you about the supplements I take. These are mandatory for me. 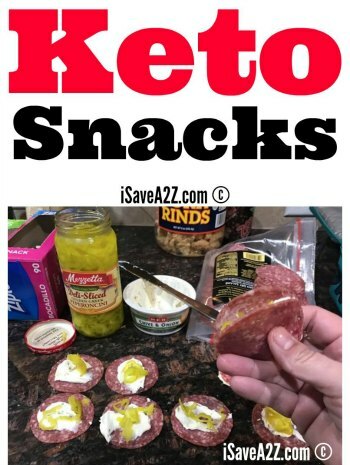 I believe they are mandatory if you are on the Ketogenic Diet. If you are curious about this Ketogenic Diet, I highly suggest you start off by reading Keto Clarity. It’s the one book I read that was really easy to understand. I also read Why We Get Fat by Gary Taubes. I recommend that book too! I also want to mention that the Beef and Butter fast is not the only fast to consider while doing the keto diet. You can also do an Egg Fast and get similar results! If meats are too heavy for you, you might just give it a try. Magnesium is a must! The keto diet is a flushing diet and if you don’t take magnesium supplements you will notice the deficiency because your muscles will start to twitch. The Nation Institutes of Health (NIH) recommend for adult males is 400-420 mg; adult females are 310-320 mg; for pregnant females 350-360 mg daily; and for breastfeeding females, 310-320 mg. Adding sodium to your diet was really hard for me to do at first but I quickly realized that you need the salt! I don’t think I can even give you an estimate because it really depends on what you are consuming during the day and if it has salt in it. Here’s a really good reddit article that asks How Much Salt Do You Eat on Keto. It was really helpful for me and I bet it will be helpful for you too. I do salt my food but I also drink bone broth which helps with sodium and collagen at the same time. I did the Keto Beef and Butter Fast Experiment for a total of 4 days. Every day I drank enough water for my body and I drank an extra large Powerade Zero for electrolytes. I love the Orange, Blue, and Yellow Powerade Zero flavors but learned that I can’t stand the red. Yuck! I’ve also learned these sell out pretty fast in the stores. I had to hit up two stores before I found flavors I liked. Some of the flavors I am only able to find on Amazon. Note: I used the 80/20 ground beef. 1 cup well-seasoned ground beef with 3 tablespoons of butter. 1 cup well-seasoned ground beef with 3 tablespoons of butter. (Seasoned with garlic, salt, and onion powder) but this time I added a small amount of grilled onions (about 1 teaspoon full because I know they have carbs). 1 cup well-seasoned ground beef with 3 tablespoons of butter. (Seasoned with garlic, salt, and onion powder) but this time I added a few grilled onions (about 1 teaspoon full because I know they have carbs). Notes: Some days I just wasn’t that hungry. I always served myself a full cup of ground beef and butter but I know there were a few times that I only ate 1/2 cup or 3/4 cup. I didn’t have any cravings or hunger control issues. It was a really good feeling! TIP: If you are not a fan of eating beef and butter without any variety, I highly suggest you check out this page of Beef and Butter Fast™ Recipes! 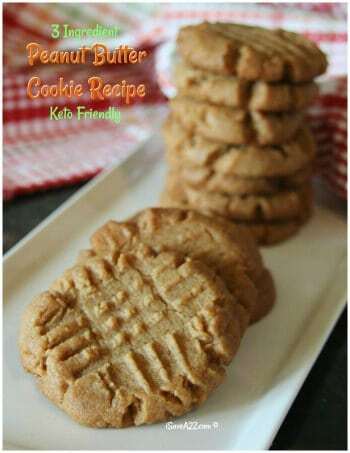 You will find recipes for varieties of Beef and Butter such as Greek, Cajun, BBQ, Taco, Dill Pickle etc… It’s a great way to do this with a different flavor combination each day. I am down 4.7 lbs as a result of this 4-day experiment! 4.7 LBS! I shed more weight during this 4-day test than I have in a few months! Un-freakin-Believable! The biggest takeaway for me during this whole experiment was that I really needed to up my fat intake way more than I realized! I add way more healthy fats to every meal I eat. I went out to eat fish the other day and made the waiter bring me real butter from the kitchen. I think this beef and butter fast was the easiest plan to fit my very busy day because the prep was next to nothing to do. I definitely plan to do this beef and butter fast again if I ever hit another stall. I still have plenty of pounds to shed! After this beef and butter fast I did go back to eating on my regular Keto Diet plan. So far I am still losing… Yesterday I had butter coffee for breakfast (x2), a huge salad, grilled fish topped with butter and a large side of squash when I went out for lunch with a friend. For dinner, I had a serving of Halo Top and about 4 pork rinds. I also drank my water and a Powerade zero. I am down 0.7 lbs. It’s slowing down but still moving down for me. I think we are all different too. For me, I was only losing about 0.5 lb a week and then sometimes I would bounce back and forth between the same 2 lbs a month! This is a big difference for me! HUGE! Head over and read How to Break a Weight Loss Stall on the Ketogenic Diet and it will explain why I started this test. There’s so much good information in that article if you are planning to start a test of your own. I want to remind you that I am not a Keto expert. I’ve been doing the Keto diet for about 7 months now and I feel amazing! I feel as though I am still learning the process. My goal is to share the knowledge I have learned through my own journey in hopes that it helps someone else just starting out! Try the Beef and Butter Fast 5 Day Challenge for yourself! UPDATE: If you want another way to break a stall and prefer to drink coffee, READ THIS!!! Keep Keto Strong, my friends! 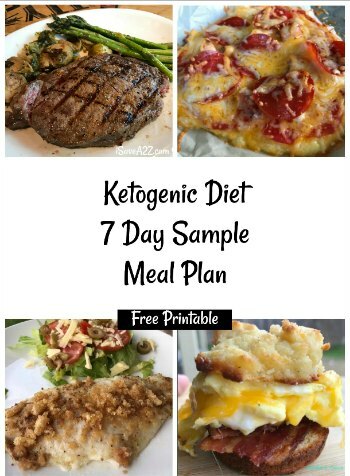 By Jennifer on September 13, 2017 Beef and Butter Fast, Keto Dinner Recipes, Keto Friendly Recipes, Keto Lunch Recipes, Ketogenic Diet, Lose Fat, Main Dishes, Recipes. This diet is new to me. My daughter and I are going to start it as soon as I read up on it some more. Years ago I was on a diet by the Dr. He gave me keto sticks to check the urine daily to see if I was staying in ketosis. That would tell me if I was doing the diet correctly. Can you still get these sticks and if so where. It more or less keeps you son track. Thank you. Hey Chelsey, thank you for posting, I am way over on all of it also, and I was wondering what to do. I will adjust also. I want to try your butter and beef today I have done this now for 4 weeks and my scale won’t budge …do I go according to my carb manager portions to make up the full calories or so I eat only one cup ? I’m starting this tomorrow!! So no powerade zero during the 4 days? I did this fast on Monday (July 30, 2018) and ended it on Wed. (Aug. 1, 2018). At the start of the fast I weighed in at 231 and when I weighed in on Thursday, August 2nd, I weighed in at 222. Today, Friday, Aug. 3, 2018, I am at 220. Stall broken. I would definitely do this again. The only drawback was, I didn’t get enough water in on one of those days and felt winded. I corrected the problem and I feel much better. I have lost 25 kilo low carb in 6 month and have kept it off for almost a year but i have reached a plateau at 66 kilo and tried everything for getting the last pounds. I’m glad I looked at my macros before doing the full 2 cups a day..it would have put me WAY over on all my macros (400 calories, 40 grams of protein and 30 grams of fat). And that was without any of the fat from coffee seeing as I IF until lunch with no caffeine :). Adjusting my two meals to fit under these and hoping to see some of the same results you had! Thanks for a great read!! Also, I don’t know anything about the fat adapted, but I had been on the Keto Diet for a month now and gained, so I started the beef and butter fast today. Jennifer, I have a couple of questions. First, I notice you recommend bacon and pork rinds. I am Jewish so this is a no-go for me. What do you recommend instead? Second, can I say have eggs with the beef or beef one meal and eggs the next? I would keep it as simple as possible. The goal of this fasting technique is to restrict carbs and eat the right amount of protein and fats. You most certainly can have eggs as a replacement. I am trying this out tomorrow! I have been at a stall for about a month now and for my diet bet weigh in on the 1st is to be 156.8lbs….about 4.8lbs away. 😕I really hope this works for me! Thank you for sharing this!!! Sorry if this was answered or written somewhere already, but did you drain the grease before eating/adding butter? I’m assuming so because you made a big batch ahead of time? I just made my first meal and didn’t drain so its pretry much fat soup lol I think tonight I’ll cook enough for a few days because I measured the 1 cup raw. What could I do for breakfast because I don’t like coffee? Do you think this would be a viable option for a keto ‘kick off’? I did keto for about a month last year and lost 20 lbs… but since have seriously slacked and gained that and then some. I need to kick my rear in gear again. I’m not so sure I would start off with Keto this way. I don’t think you could tolerate all that fat in the beginning. You might have to allow your body to work up to it. Just my opinion. I would wait until you are fat adapted first. Sidenote: I am down 30 lbs in 3 weeks and have added muscle. Should be counting your calories everyday. I personally just count my fat and protein grams taken in per day as I don’t eat enough carbs to worry. Everyone’s body is different and your activity level makes a huge difference! My highest recommendation is that you check out the Keto calculator at ruled.me. It’s the best tool I have used for the diet so far! I definitely stay within my macros! I started this today, so i put everything in my app. I’m coming out with 5oz per cup of ground beef. Should women eat less? Following this with one cup of keto Butter coffee puts me at 1393 calories. My normal goal is 1300 a day. Adjust the amounts to the calories you should be eating for your own goals. I did the 1cup 3x a day with 3ts of butter and lost 10lb. So diffintnely kickstarts a stall. Started this yesterday due to a keto stall after about six months of keto. The only change I made was 1 TBSP of butter added for lunch & dinner beef instead of 3. Day one loss was 1.6lbs! Thanks for sharing this experiment. I curious to find out if the weight stayed off? It DID! I got back to this when I stall too! I am starting this today! I am still very new to Keto and getting used to the high amount of fat. I feel like trying this out for a few days will really get me used to more fat and open my eyes to how much I’m actually eating. Thinking back to my meals over the last little bit, last night for example, the only fat that was in my dinner was the 1 serving of cheese which was only 6g of fat. I am so excited to try this to get used to more fat, and if I drop a little more than my usual average this week then that’s just an added bonus! Thanks so much for posting this and sharing your experience! Like a failure and I have to basically start all over. So reading your beef and butter experiment makes me want to try it to get back on track. I could not do thr egg fast. So tha k you for your blog. About how long can you do this fast. I’m very interested. I do feel I’m not eating enough fats. This experiment really opened my eyes to the amount of fat I consume. I did this experiment for 4 days. When I finished with this experiment I learned that I need to add way more fats to my diet. I like a variety of food and flavors though. I tend to continue to eat the same amount of protein vs fat as this Beef and Butter Fast™ food proportion experiment but with different proteins. I love steak so I make sure to top it with lots of butter. I also like fish so I add way more oils or butter. The key to this whole experiment is to up your healthy fat intake. Lowering the other ingredients such as dairy or substitute sweeteners (keto desserts) to my diet was key in jumpstarting my weight loss goals again. This is how I like to think of it anyway. Does that help? i JUST MADE “GOLDEN kETO bEEF” SOOOOO Yummy I added cinnamoin. tumeric, ginger and cayenne !!!! YUMMY!!! I’ve gotta try that. I’ve never thought to add cinnamon to my beef. Interesting! Hi, great article! Was wondering if you happen to know the weight of the ground beef prior to cooking for each serving? By chance? I put butter in it then sauteed mushrooms, and raw spinach for addictive soup. Jennifer, are you measuring the beef before cooking, or after? TIA! No. I measured it after I cooked it. I just started the beef & butter diet today. Not only did I add butter, but I added leftover bacon grease along with salt, pepper & spices. The bacon grease gave it added flavor. It was delicious and I am stuffed from my one cup! I don’t eat beef, so could i substitute ground turkey for the beef? Do you think it would work the same? Honestly, I don’t think the type of protein really matters, I think people need to add more healthy fats to their diets to make the difference. At least, this is what I learned during this experiment! Are you cooking the GB all at one time and then just re-heating and adding butter at the time or re-heating? I cooked a big batch of ground beef at the start of the week and then added butter to it before I served it to myself. I would reheat portions when I was ready to eat. This was a big timesaver for my busy schedule. I didn’t add the butter while I was cooking it because I didn’t want it to all sit at the bottom of the pan. It would harden in the refrigerator at the bottom too. It’s just easier to add butter when it’s warm. Curious if a couple of eggs instead of the coffee in the morning would work as a substitute? Otherwise, it looks like a winner! I honestly think any healthy fat will do. Let me know how it goes please! Good Luck! Please come back and tell me how it goes for you! I’ve had so many messages and comments (in our group) of fellow Ketoers that have kicked the stall! It totally inspires me to learn and share more! Thank you! OH! And I agree with you on the egg fast. I’m just about done with eggs! lol! Hi Jennifer, I’ve read everything you have had to say, and I like it, simple to understand. Everything I’ve read leaves me in a fog and confused. I’ve been Keto for several months now and I’ve been stalled out several times so I’m starting your Beef and Butter meals today. Note sure what to do about the butter part, I really have the taste of butter. Hoping to cover it up with lots of spices. We will see. I think one of my problems has been not enough fat, too. Thank you for all the info. You are very welcome. You know, I needed easy myself. My youngest just had a surgery and requires a bit more attention on top of my already busy lifestyle. I live for easy nowadays! The main thing I learned from this experiment was the fat intake. It doesn’t have to be butter all the time. There are plenty of other healthy fats you could use too. I love coconut oil but I don’t think that would taste great with ground beef. Good luck! Way to go!!! Congrats on your success so far!!! I have no doubt you will hit the goals you want. It makes me so happy to share something that worked for me. I hit that stall and I know how frustrating it is. You know, when I figured out this works, I wanted to tell anybody and every body who was struggling! Congrats again!! !